To foster financial literacy, we regularly feature discussions on common terms and concepts used in personal finance and investing. 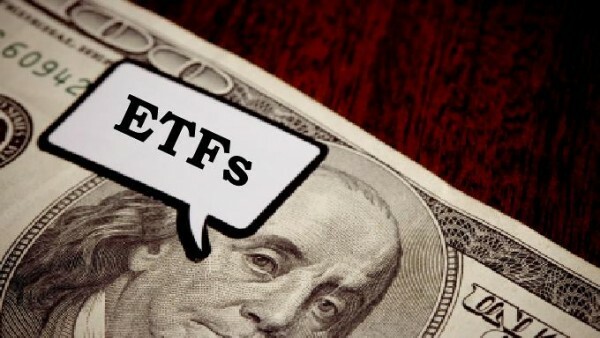 Here’s an article from Kyle Tetting on Exchange Traded Funds, or ETFs. An investment instrument devised originally for professional money managers is becoming more popular among individuals, with the lure of low costs and flexibility. But there may be more to ETFs than meets the eye. An Exchange Traded Fund – or ETF – is a basket of securities, much like a mutual fund except it trades and is priced throughout the day, instead of once a day. Investment companies created ETFs initially to track an index such as the Standard & Poor’s 500 large-company stocks, but the concept has evolved over time. SPDR paved the way for ETFs to track everything from foreign markets to individual market sectors, with ETFs for everything from natural resources, precious metals and energy to consumer goods, banks and real estate. The first ETFs were marketed to institutional investors for use in sophisticated hedging and investment strategies. But as interest grew, so has the scope of ETFs. Since the initial offerings, the ETF market has grown at a staggering pace with hundreds of new funds added every year. Additionally, the investment community has started to embrace ETFs for their many perceived advantages, spurring even more growth. What started as an approach to index investing has evolved into a complex counterculture of investments. ETFs are now available in broad categories such as currency, bonds, materials and commodities. Even more recently, we have seen the creation of actively managed ETFs. We have also seen a new breed of ETFs that utilize leverage to produce sometimes twice or three-times the daily returns of a particular index or sector as a tool for frequent traders to place daily bets. However, the SEC and Financial Industry Regulatory Authority have urged caution in using leveraged ETF products as a long-term holding. Those products are designed to replicate daily returns and over longer periods will not keep up as a result of the effect that the arithmetic of leveraging has on them. With ETFs’ publicized growth and support from a number of advocates who promote all the positives, an alternative product once left for institutional investors has become increasingly popular with individual investors and advisors. Individual investors once relegated to managed mutual funds of stocks and bonds have been lured to ETFs by low costs and variety. And with the influx of new and innovative investment ideas, the ETF market has been well-positioned to adapt to changing investor demand. ETFs can offer greater trading flexibility and transparency than mutual funds. Because ETFs can be traded throughout the day, they publish their holdings daily, unlike mutual funds whose disclosures vary, but as a whole publish much less frequently. Also, since ETFs tend to stick to indexes, meaning few trades within an ETF, they are often considered to be more tax-friendly than actively managed mutual funds. Since the indexes don’t change much, index ETFs have little turnover, which equates to fewer taxable events for investors. ETFs appear to be a lower-cost solution to mutual funds or a diverse basket of individual stocks and bonds. This is because ETFs generally carry lower expense ratios than a mutual fund but can still be purchased in a single transaction, unlike an investor who looks to diversify by purchasing a basket of individual stocks and bonds. However, after taking into account commissions and the cost of advice for novice investors, the cost of ETF investing is not necessarily less than mutual funds. Unlike many mutual funds, ETFs themselves do not pay advisors, so individuals looking to invest are often charged hefty commissions, which may encourage unscrupulous advisors to make frequent changes, buying and selling for the sole purpose of charging their clients commissions on each transaction. One other common approach is to charge an advisory fee on top of the funds’ expenses, further adding to the cost. Many proponents argue for ETFs – specifically ETFs tied to indexes – by saying that it is difficult if not impossible for any mutual fund manager to consistently beat the market. Therefore, they reason, given the lower expenses of an index ETF, an investor should be better off with index-like returns from the ETF over time. While every mutual fund may not consistently track index returns, the real issue is not potential returns but risk. Index ETFs can promise an index return, but with it comes index risk. If the S&P 500 goes up or down 10%, you can expect an S&P 500 index fund to move in sync. However, many mutual fund managers are more concerned with the risk side of the equation, with many funds choosing to take on much less risk than the market while still realizing good returns on a risk-adjusted basis. Given the active management and ability to make changes based on forward-looking ideas, the right portfolio of actively managed mutual funds should be better able to control the risk side of the equation. ETFs can be a great tool for investors looking for specific exposure to a wide range of investments. They also allow for complex trading strategies that institutional investors have relied on for years. While ETFs have their place for many investors, the active management and long-term track record of many of the mutual fund industry’s top funds continue to provide excellent opportunities to manage risk. Kyle Tetting is research director at Landaas & Company.